Pope Francis has expelled two retired Chilean bishops from the priesthood, the Vatican said in a statement on Saturday. Archbishop Francisco José Cox Huneeus and Bishop Marco Antonio Órdenes Fernandez were removed “as a consequence of manifest abuse of minors,” the Vatican’s statement said, adding that the decision could not be appealed. The Vatican reportedly investigated both men for sexual abuse in two separate cases. Órdenes resigned from his position as bishop of the coastal city of Iquique in 2012 as the Vatican conducted an investigation into claims that the 53-year-old molested a 17-year-old altar boy. Cox, now 87 and suffering from dementia, was first sent to Germany in 2002 following accusations of abuse. The bishop was again accused of sexually abusing a minor while living there in 2004. “We receive this news with much shame for the damage caused to the victims. We show solidarity with them and their profound suffering. Today more than ever, we deplore every act of abuse that offends the dignity of people,” the Schoenstatt Fathers, Cox’s religious order said, according to NBC News. The order added that the Vatican asked for Cox to be held in Germany. Founded in 1965 in Germany, the religious order is active in 19 countries and, as of 2015, had 331 priests, 104 seminarians and 41 novices. The Vatican made its announcement following a meeting between Francis and Chilean President Sebastian Piñera. 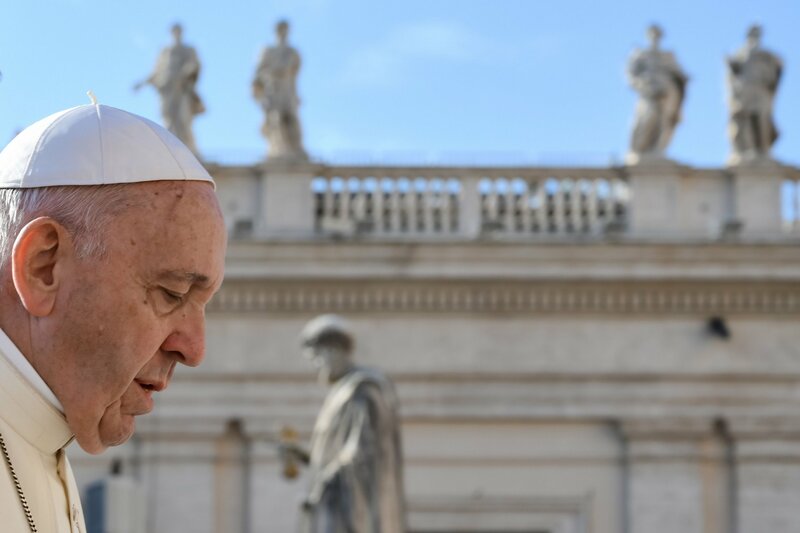 Among other matters, the two spoke about the “painful scourge of abuse of minors” according to a press release from the Holy See. All of the country’s bishops offered to resign from their positions when they met with Francis in May, and more than 100 clergy are being investigated by authorities for alleged sexual abuse crimes. The move comes a few weeks after the Vatican similarly relieved a Chilean priest of his duties. Pope Francis defrocked Fernando Karadima for “the good of the Church,” according to a statement from the Vatican. An investigation conducted in 2011 found the 88-year-old guilty of abusing teenage boys for many years. “We were facing a very serious rot case, and it had to be rooted out. This is an exceptional measure, no doubt, but the serious crimes of Karadima created an exceptional damage in Chile,” said Greg Burke, director of the Holy See press office, according to CNN.